The $16 billion hit to investor portfolios from Vale’s dam disaster last month has finally prompted some of them to push for change from the mining industry. Last Thursday a group of pension funds from the UK, Sweden, the Netherlands and New Zealand, along with a number of global investment-management firms, proposed an independent safety-monitoring system for the pools of slurry-like ore residue known as tailings. It’s a start, but more needs to be done. The investors, which between them manage $1.3 trillion in assets, outline that such a project would require annual audits and verification to improve safety standards and provide information to the public. This initiative deserves even stronger global support from institutional investors, which stayed silent during previous dam disasters. The design and management practices at Vale’s Brumadinho iron-ore mine in the Brazilian state of Minas Gerais are not unique. At least 100 people lost their lives in the tragedy, with hundreds more still missing. It may have been both predictable and preventable. Recent research by Columbia University’s Water Center, supported by Norges Bank Investment Management, found an estimated 300 active tailings dam failures, not including coal ash, over the past century. They were caused by factors such as poor design, over-topping during extreme rainfall, earthquakes, slope instability and inadequate maintenance. David Chambers of the Center for Science in Public Participation, which monitors water issues in natural-resource industries, and independent researcher Lindsay Newland Bowker have found that incidents may occur because too many mines operate at marginal profitability. They predicted that 13 serious failures – involving releases of over 1 million cubic meters of tailings, traveling more than 20 km and causing multiple deaths – would take place between 2011 and 2020. Sadly, they seem so far to be accurate. Using data on past tailings-dam failures, land use, demographics and satellite imagery of protected ecological areas, Columbia Water Center researchers created a tailings dam hazard-rating index based on a statistical model of the potential impacts of failures. Of the 106 dams Vale has in Minas Gerais, six have an even higher hazard index than the one that just collapsed. The roughly 20 percent decline in Vale’s share price since the collapse may understate the potential loss to investors. It does not, after all, factor in the reputation risk, potential loss of license to operate and limits on growth. 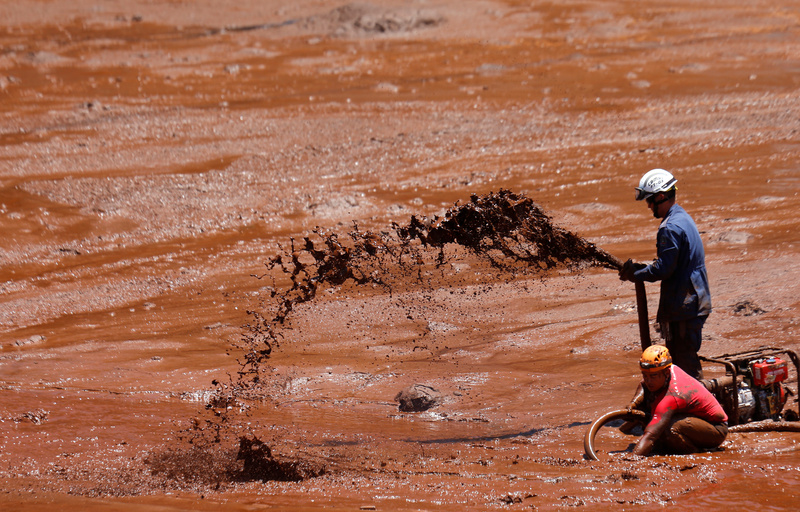 Troublingly, the Brumadinho disaster occurred after four self-assessments, including one just a few weeks beforehand, that asserted a very low risk for dam failure – a certification accepted by the Brazilian regulator. Often, local governments rely heavily on revenue from the mining industry. That can weaken oversight. It’s critical to develop mechanism to insulate dam inspectors from political pressure and allow them to be truly independent, with the ability to impose serious consequences on companies that fail to comply. Shareholders should be asking regulators to detail how frequently tailings dams are inspected, the ratio of inspectors to dams, their skill level and the budget at their disposal. Getting a sense of how independent the inspectors are from political and industry influence is also crucial, as is finding out whether, how and where the results of inspections are made public. There’s also a host of key information investors should demand of mining companies. That can start with what may seem like basic operating and monitoring data: How many tailings dams, both active and inactive, does a company have, and what proportion are in regions where regulatory oversight might be lax? How many are upstream? Which ones have a higher risk of failing? What is its history of failures, fines and breaches? How frequently does it monitor dam safety, is there independent verification of these assessments and does it share the results of these safety assessments with the public? What kind of research is undertaken as the tailings dams are designed should also be on investors’ list of questions, along with how a company ensures it invests in design and safety best practices. It’s important, too, to understand what data firms have on dam-breach analysis and liabilities related to tailings dams, including factors such as failure probabilities and insurance coverage. But shareholders should also dig further to unearth how many of a company’s mines are profitable only when commodity prices are high. And it’s increasingly relevant to understand how companies assess climate extremes, including the risk of greater precipitation, when designing and operating tailings infrastructure. These are just some of the questions investors and others should ask to help reduce, and even eliminate, tailings-dam failures. Research shows that safety rises with strong oversight, company stewardship and strong regulations. It’s not too late to learn from the tragedy at Brumadinho and elsewhere. But real action from a broader set of stakeholders – including shareholders and lenders – is key. Rescue workers search for victims of a collapsed tailings dam owned by Brazilian mining company Vale SA, in Brumadinho, Brazil February 2, 2019. Monika Freyman is director of investor engagement for water at sustainability nonprofit Ceres. Upmanu Lall is director of the Columbia University Earth Institute Water Center as well as chair of the Department of Earth & Environmental Engineering at Columbia University’s Henry Krumb School of Mines.